Goji berries are the fruits of the species of boxthorn in the nightshade family which is nowadays quite common in Germany, both growing wild and as garden plant. Originally, the shrubs with the longish bright-red fruit are native to South-east Asia and China. People there appreciate the goji berries so much, they even celebrate special days in their honour. 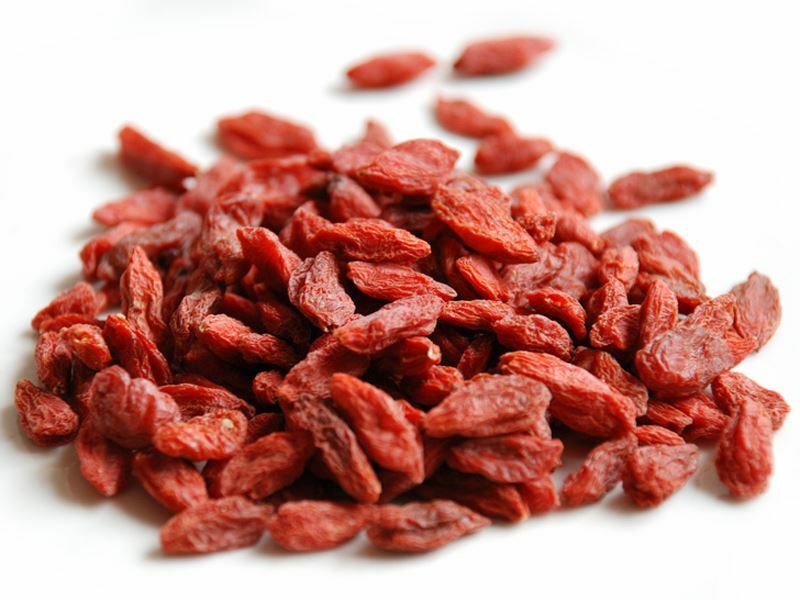 Goji berries are delicious eaten pure, as muesli supplement, in baking goods or soups.